Dr. Senoy Thomas joined the Physics department of CUSAT as an Assistant professor in June 2017. Prior joining CUSAT, he worked as an Inspire Faculty in Materials Science and Technology Division at CSIR-National Institute for Interdisciplinary Science and Technology Thiruvananthapuram, India. He also worked as a post doctoral scientist at Chemnitz University of Technology in Germany during the year 2010-2013 (Advisor: Prof. Manfred Albrecht). His research interests are in the area of magnetism and magnetic materials, with a special focus on interfacial exchange coupling phenomena. Senoy Thomas received his Ph.D in Physics from Cochin University of Science and Technology, India (Advisor: Prof. M R Anantharaman) in 2010 and M.Sc in Physics from St. Thomas college, Kozhencherry, Kerala and B.Sc in Physics from St. Thomas college, Ranni, Kerala (Mahatma Gandhi University, India). Senoy Thomas has more than 40 publications in international journals and is a reviewer for many international journals. INSPIRE Faculty: CSIR-National Institute for Interdisciplinary Science and Technology Thiruvananthapuram, India (Jul 2013-Jun 2017). Postdoctoral Scientist: Institute of Physics, Chemnitz University of Technology, Germany (Jan 2010-Jun 2013). Ph.D Physics, Cochin University of Science and Technology, Cochin, India. M.Phil. Physics, Cochin University of Science and Technology, Cochin, India. M.Sc. in Physics, Mahatma Gandhi University, Kerala, India. DST-INSPIRE Faculty Award (Government of India). 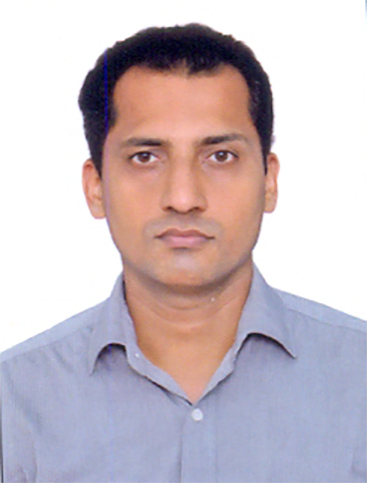 Selected for UGC-Assistant Professorship under FRP programme (Government of India)-not availed. Travel Grant from SERB, India, and CSIR, India for attending the international conference, ICMAT 2015&2009, Singapore. Senior Research Fellowship-Council of Scientific and Industrial Research, New Delhi (Government of India). Junior Research Fellowship-University Grants Commission-Research Fellowship in Sciences for Meritorious Students (Government of India). Melpadom Attumalil Georgekutty Merit scholarship. Exchange coupling phenomenon in magnetic nanostructures. Spin configuration and dynamics in magnetic vortices. Rare earth based magnetocaloric materials. Exchange spring based nanocomposite magnets. Life member-Magnetics Society of India.